Bajaj Auto has confirmed that they will launch Husqvarna bikes in India before September. Vitpilen 401 and Svartpilen 401 will be the launched in India. In a recent interview to MoneyControl, Rakesh Sharma, Director, Bajaj Auto, has confirmed that they plan to introude Husqvarna bikes and their electric two-wheeler brand Urbanite by September. The new motorcycles will be produced at Bajaj’s plant in Chakan, Pune. They will borrow many cycle parts from KTM and Bajaj to implement lower prices. Globally, KTM is a promoter of Husqvarna, a Swedish company. Vitpilen 401 has been spotted testing in India couple of times under heavy camouflage. From the spy pictures, we say that it uses the alloy wheels, suspension setup and engine from Duke 390. 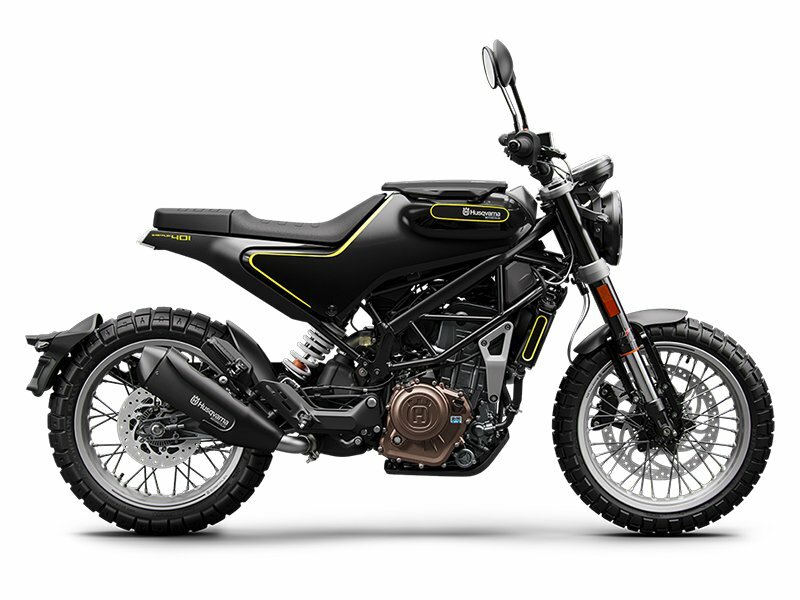 The global-spec Husqvarna bikes use rims instead of alloy wheels. The bike gets low positioned clip-on handlebars, a tall grabrail at the back and a styling rear tire hugger. While Vitpilen is a neo-cafe racer, Svartpilen is a neo-scrambler. If you see closely, both get a distinctive bodywork and of course, a different riding purpose altogether. Vitpilen will only be available in White colour, because its name translates to White Arrow in Swedish. Similarly, Svartpilen will also come in Black colour only. These two bikes will retail through 230 KTM showrooms that are operational throughout the country. Bajaj states that the network of KTM is strong and both the models will go through the same showroom. Vitpilen 401 and Svartpilen 401 will use the same engine setup, borrowed from Duke 390. The 373cc liquid-cooled DOHC engine delivers 43 BHP and 37 Nm of peak torque. For suspension purposes, they will use 43mm USD forks at the front and WP monoshock at the rear. The suspension for Svartpilen will have a slightly longer travel. We expect both the motorcycles to demand a premium over KTM Duke 390. The estimated price will be around Rs 3 Lakhs. It might go against Honda CB300R, BMW G 310 R and Royal Enfield 650 Twins.